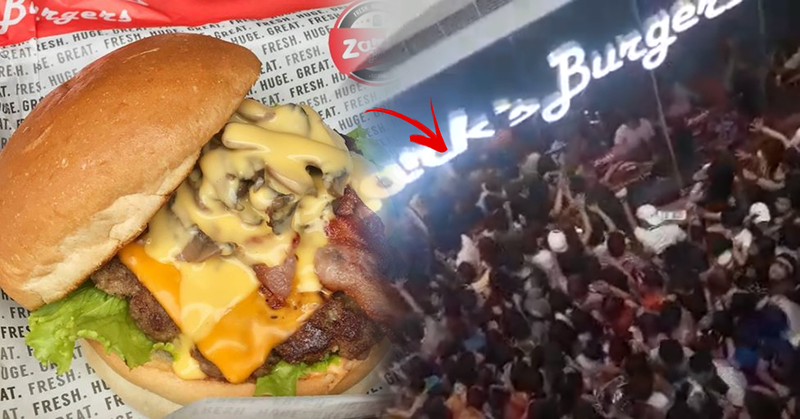 A local burger joint's one-day only promo has generated chaos in several malls early Monday, as seen in social media posts by customers who documented their struggle. Numerous Facebook posts went viral after showing hundreds of customers crowding outside Zark's Burgers outlets, hoping to avail of the P8 burger. The promo, according to Zark's Facebook page, was to mark its 8th year anniversary and was open only to the first 80 customers. 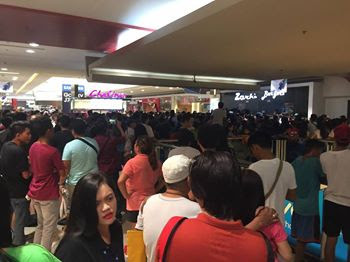 While the promo started at 10 a.m., many customers lined up as early as 7 a.m.
Pauline Cabal Estrada posted a video of a huge crowd in SM Sta. Rosa, where people were pushing and jostling their way to the burger outlet in the hopes of availing the promo. 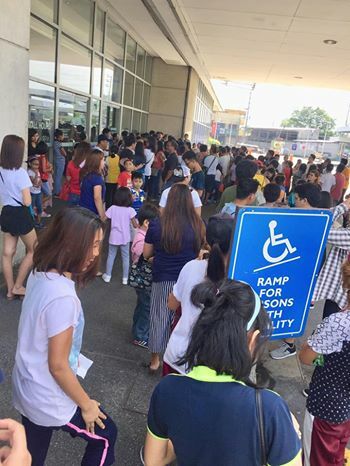 In SM Bacoor, a netizen identified as Kent Pontivedra posted a video of people rushing to line up outside the burger outlet. Pontivedra said that the restaurant and mall had no crowd control in place. "Kami ang aga aga nmin pumila 7:00 am pa. Dapat kung sino unang dumating papasukin at papilahin agad kung saan yung Zark's Burger," he said in his post. Meanwhile, RJ Rebagoda posted a video in SM Sta. Rosa, where security guards could be seen attempting to hold off a huge crowd trying to get inside the burger outlet. In a Facebook post, Zark's Burger has apologized for the "inconvenience" to its customers. "We sincerely apologize for the inconvenience experienced by patrons and other mall shoppers unintentionally brought about by this celebration that was intended to thank all of you for 8 years of loyal support and patronage," it said.